Ahoy, me hearties! Get onboard AFM’s pirate-themed benefit held on International Talk Like a Pirate Day. Enjoy great grub and buccaneer-themed entertainment: music from The Pirates of Penzance and Threepenny Opera, traditional sea shanties and ballads, pirate trivia, and beer and wine! Learn why the pirate in our first concert has to reform. Costumes encouraged. Have some fun an’ support th’ Anch’rage Fest o’ Music – Aaarrrr! Tickets $25 available at the door or from CenterTix. 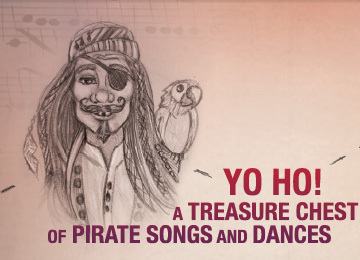 Donations of pieces of eight from yer treasure chest will be gratefully accepted! Season subscriptions are available for all concerts for $108 -a 25% savings.